Designed by the renowned architect C.Y. Lee, Taipei 101 towers impressively over the Taipei Basin, its distinctive shape and features infused with eastern symbolism embodying the spirit of rising fortune and success. The cloud-capped skyscraper is also a popular backdrop for photos. Countless couples have framed their wedding photos with the public artworks in the building square. A large red aluminum sculpture of the word "LOVE," capturing the spirit of enduring passion, is a particular favorite. 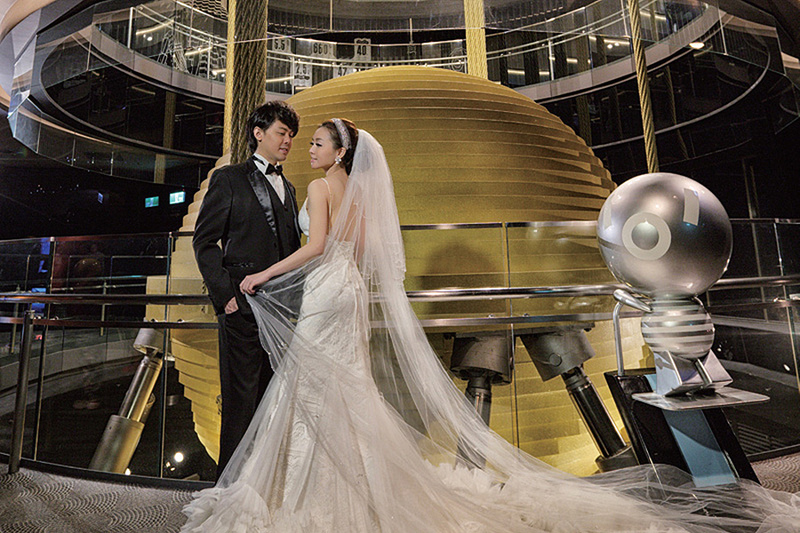 In 2013, Taipei 101 began allowing couples to take wedding photos on the top-floor observation deck. Reached by a high-speed elevator ride, the deck commands a bird's-eye view of the greater Taipei area. The vantage casts the bustling streets of the city in miniature, creating an unusual backdrop for a romantic wedding shoot "at the height of love." Take MRT Xinyi Line to Taipei 101/World Trade Center Station, then take Exit 4. 44 South Village is located at the site of a former housing community for soldiers in the military's 44th Arsenal and their families. Most of the townhouse-style homes have been demolished, but some have been renovated and repurposed for cultural and educational functions, opening a window back to an earlier time. 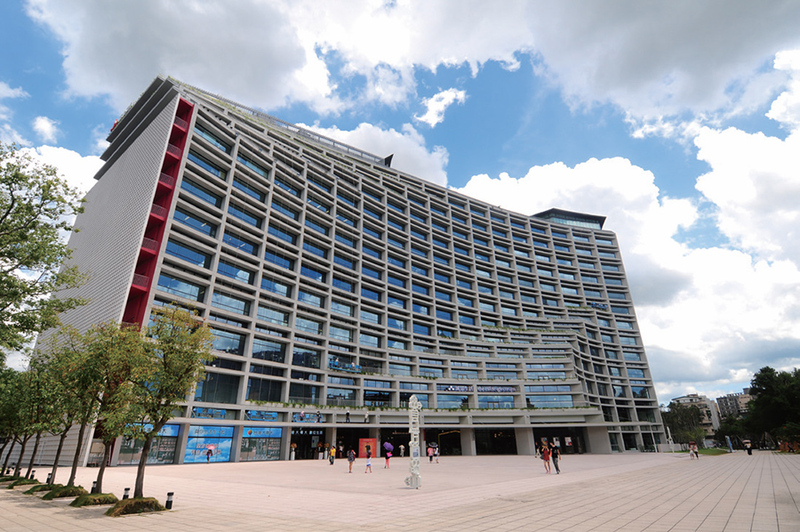 One of the buildings is now the Xinyi Public Assembly Hall, which provides a space for events and exhibitions related to the old military dependents' village. Good Cho's, located in Building C, is a combined café, specialty-product store, and art venue. On weekends, the village square hosts the Simple Market, featuring produce from small farms, handmade crafts, and second-hand items. The various elements create a relaxed, cultured ambiance that has made 44 South Village a popular spot for pre-wedding photo shoots. Walk about 5 minutes from Taipei 101. Designed by Japanese architect Toyo Ito, Eslite's visually arresting new store has an arc-shaped facade with terraced green balconies and views overlooking the historic buildings, plaza, and lotus pond of the Songshan Tobacco Factory complex. The interior is divided into several cultural-creative venues. "Expo" brings working art studios to a mall environment, and "Tea with Books" fuses Taiwanese tea culture with a bookstore setting. The mall also has an art exhibition and performance area, with a cinema and performance hall. Taiwan's first vinyl record shop, and world-champion bread maker Wu Pao-chun's Wu Pao Chun Bakery, are also located here. Ito's team raised the bar in terms of building acoustics, lighting, and interior design, creating a world of pleasant surprises where culture, design, and fashion are delightfully combined. Walk from Taipei 101 to MRT Taipei City Hall Station and take the Bannan line. Huashan 1914 Creative Park is an arts and culture venue located at the former site of the Taipei Winery. 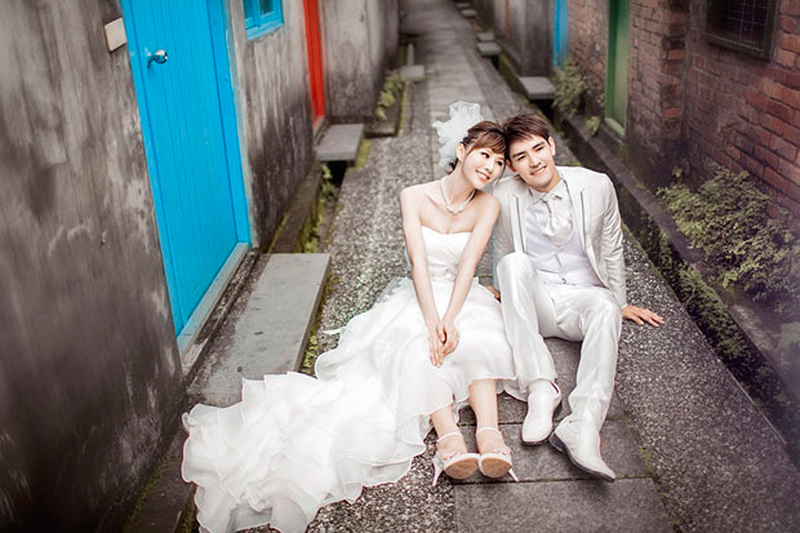 The historic buildings have a distinctive retro style, and frequently serve as backdrops for wedding photos. 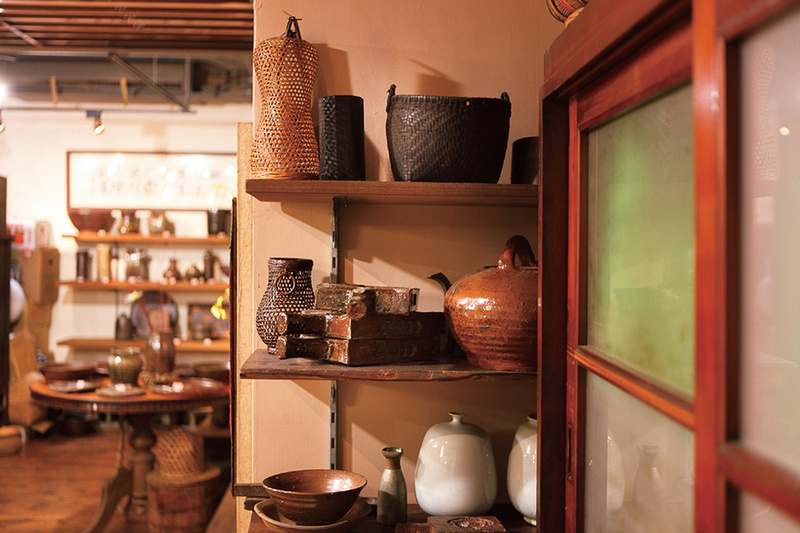 Several art and design-themed stores and specialty restaurants have also set up shop here. Among them are 1914 Connection, Taiwan's first contemporary designer gift shop; Ayoi Taiwan Indigenous Specialty Boutique, presenting indigenous handicrafts; VVG Thinking, a LOHAS-themed store fusing a restaurant, art and culture exhibitions, and lifestyle products; and Chingye-Shinleyuan, a restaurant specializing in Taiwanese fare with an ambiance that manages to be nostalgic and modern at the same time. The park's expansive grounds are also a magnet for city residents. Fairs and other art events are hosted here on weekends and holidays, presenting Taipei's creative vitality in vivid light. Daan District stands apart from other Taipei neighborhoods with its mix of cultural and educational dimensions. In addition to several universities, the district is dotted with art cafés, independent bookstores, exotic restaurants, lifestyle stores, and art galleries. Among them is Hui Liu, a teahouse fusing classical and modern elements with a menu emphasizing organic seasonal fruits and vegetables. The area is also home to Earth Tree, Taiwan's first exclusively fair trade store; and Caffè Libero, a community art café located in a renovated old building. The stores here are also distinguished by a general embrace of a business philosophy that puts quality of living above profit. This spirit of slowing down to enjoy life is palpable as you stroll along the quiet streets and alleyways of Daan. Downtown Taipei, north from Dongmen Market, south to National Taiwan University, east to Daan Forest Park, west to National Chiang Kai-shek Memorial Hall. Take the MRT Xinyi Line from Taipei 101/World Trade Center Station to Dongmen Station. Take Exit 5.